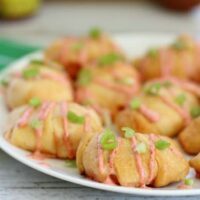 These delicious Shrimp Bites make the perfect finger food for your next party. 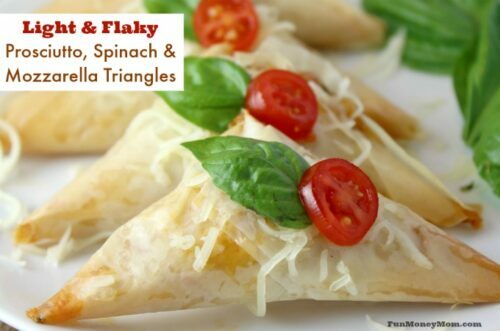 Just spicy enough for those that like a little heat in their appetizers, this recipe is a crowd pleaser. Are you ready for some football because I sure am! Even though my fantasy football team totally let me down this year, I’m not letting it get to me. 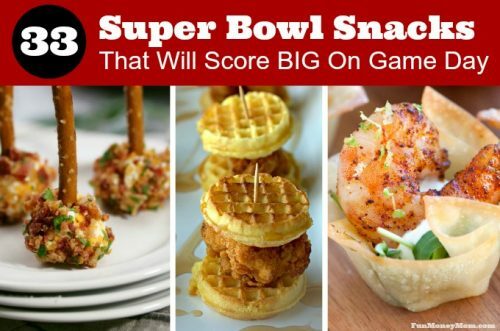 The Big Game is coming up and I’m super excited. I love getting together to hang out with friends, especially ones that I don’t see very often. I’m always busy driving kids around or running errands so it’s nice to be able to just chill with some football, friends and food! It’s always a blast and I’m not sure what I love the most, watching the funny commercials or crossing my fingers in hopes that my squares hold the winning numbers. Then there’s the food! 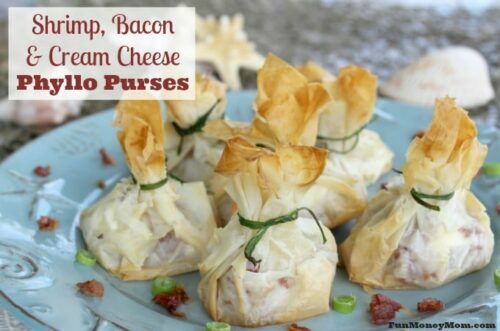 I love party food and could live off appetizers alone (okay, maybe I’d need a little wine to go with them). 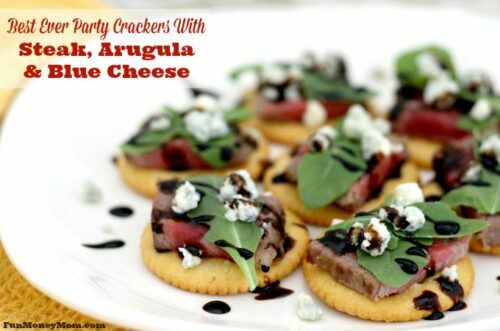 I used to be the one that always brought cheese and crackers to a party but over the last few years, appetizers have become one of my favorite things to make. Now I’ve come up with a new delicious party food that I know is going to be a hit. First though, how would you like to win some awesome prizes for your next football party? 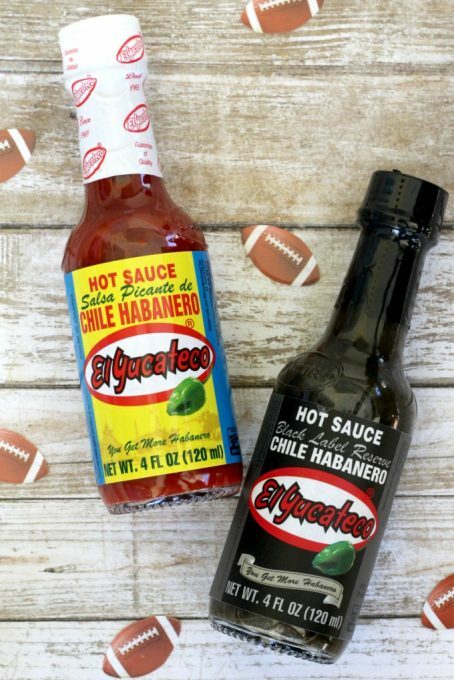 El Yucateco® is giving entrants the chance to win one-of-a-kind tailgating and homegating packages and more! My hubby would think I was wife of the year if I won a 60 inch flat screen TV for him to watch his games! Have you tried El Yucateco® sauces? 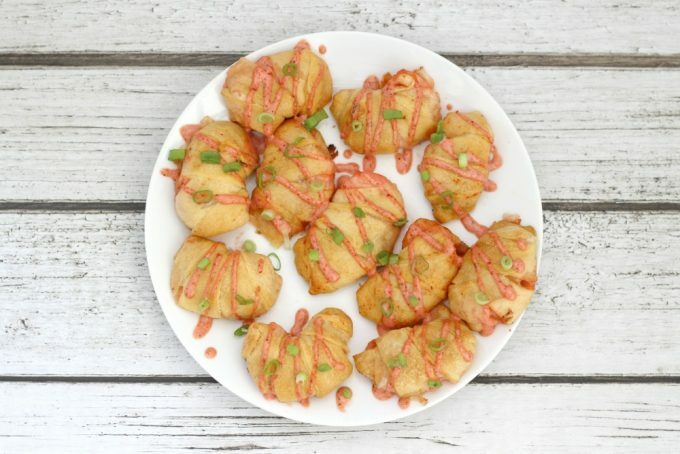 I picked up El Yucateco® Red Chili Habanero from Walmart to make one of my new favorite party foods, Hot & Spicy Shrimp Bites. El Yucateco® is the #1 choice for authentic habanero hot sauce and the Red Habanero packs the perfect amount of heat. It has more punch than your traditional hot sauce but because there’s less vinegar, you can really taste the flavor of the peppers. It’s perfect for my hubby’s Bloody Marys and I also can’t wait to use it for some hot wings next time. I also picked up the El Yucateco® Black Label Reserve while I was there, just to have on hand for future recipes. It has more of a smokey flavor, which I really want to try. I love the convenience of these mini bottles because a little spice goes a long way. Plus, they’re easy to throw in the cooler, or even your pocket, so you can bring them to cookouts or tailgating parties. 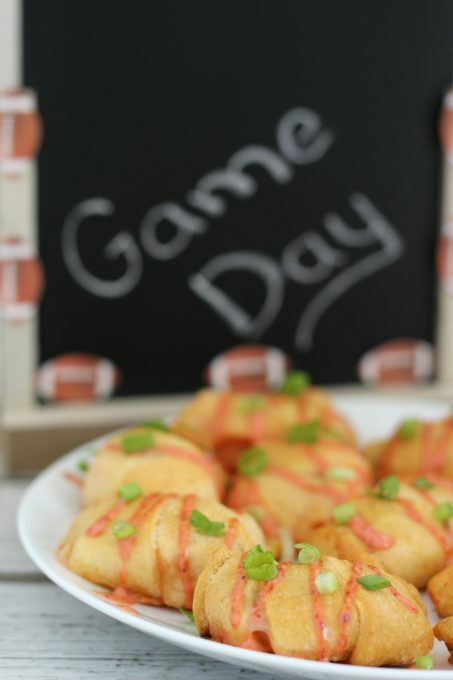 To make these awesome shrimp bites for your own party, start by mixing El Yucateco® Red Chili Habanero, olive oil and garlic. 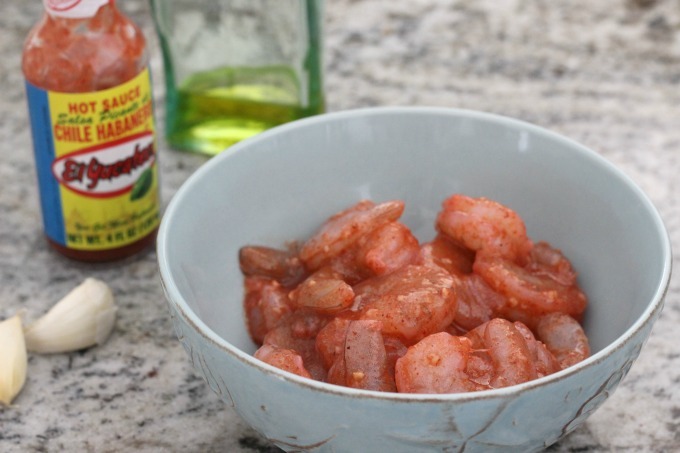 Next, throw your shrimp in the mix to marinate for at least an hour. 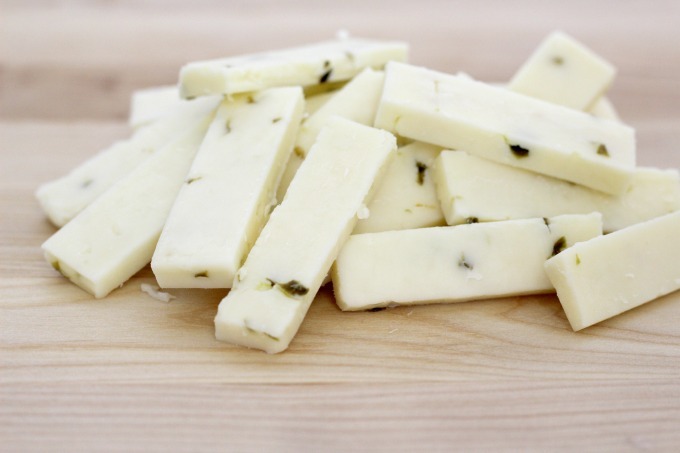 Take an 8 oz block of cheese and slice it into 24 pieces. 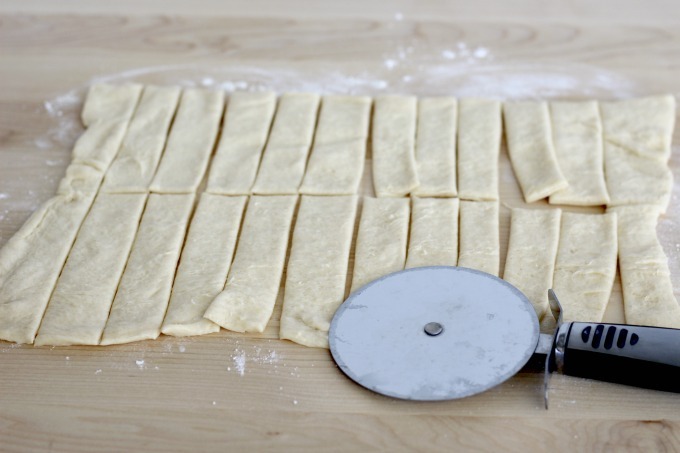 Sprinkle a little flour on a cutting board, then unroll your crescent dough sheet. Cut 1/2 once lengthwise and cut each of those pieces into 12 strips so that you have 24 crescent pieces total. Place a shrimp in the middle of a crescent piece, add a slice of cheese, then wrap the dough around it. Bake at 375° for 16-20 minutes, until the crescent dough is a golden brown. While the bites are cooking, combine the ranch dressing and Red Chile Habenero in a small bowl and cut a couple scallions for garnish. When shrimp bites are fully cooked, remove from oven, drizzle with ranch sauce and top with scallions. Serve hot and enjoy! 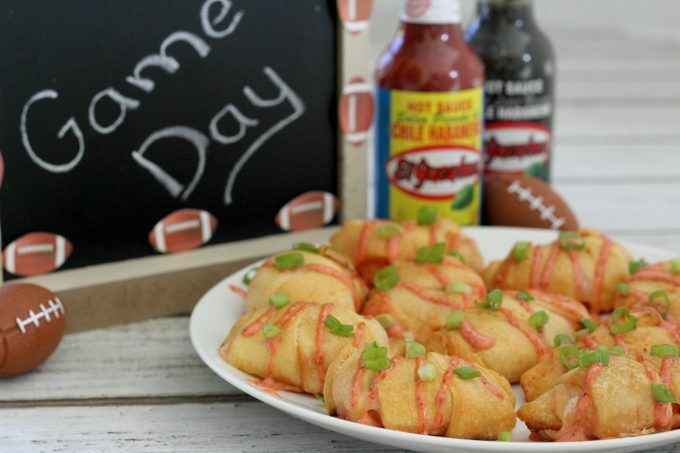 Looking for the perfect game day appetizer? 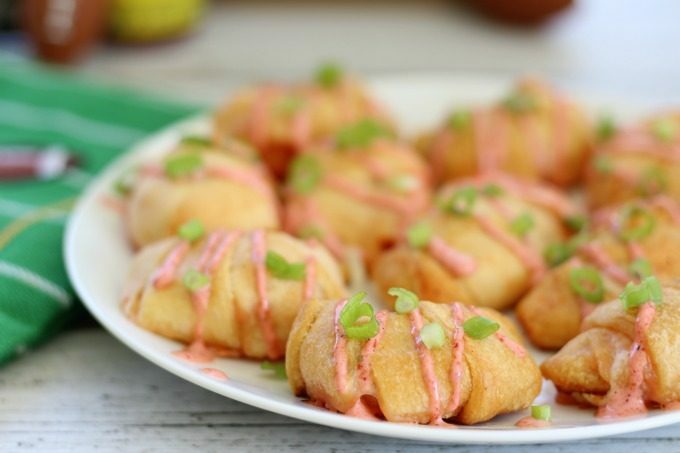 These hot & spicy shrimp bites will score for sure! Combine 3 tbsp Chile Habanero, olive oil and garlic. When the shrimp bites are finished, drizzle ranch mixture over them, then top with sliced scallions. What are your favorite spicy foods? 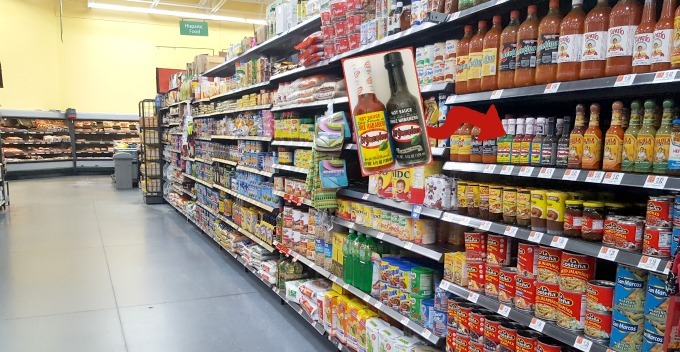 Do you go easy on the hot sauce or do you believe the spicier the better? Find out more about El Yucateco® by following them on Facebook, Twitter, Instagram, Pinterest & YouTube. Thanks! They were absolutely delicious and I loved the kick that they got from the hot sauce!